Printrbot Simple Metal Flexible Filament Extruder Arm #3DThursday #3DPrinting « Adafruit Industries – Makers, hackers, artists, designers and engineers! 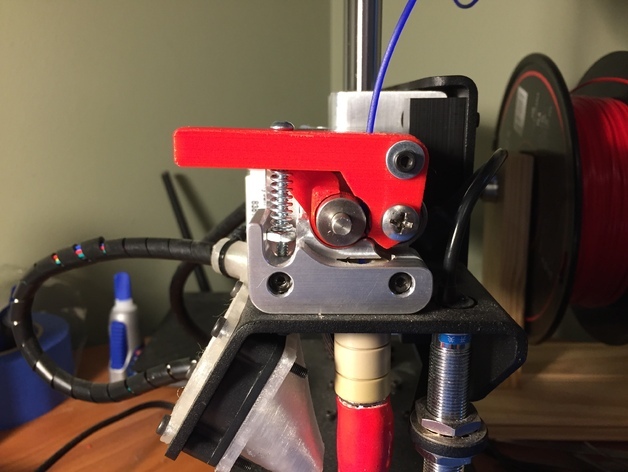 This is a remix of the Printrbot Simple Metal Flexible Filament Extruder made by nmackes. This one has been modified to print without support. There are two versions one is normal and the other has an extend lever (pictured) for ease of use.